Mero Samuel is serial entrepreneur who has established five multimillion-dollar companies since the age seventeen. 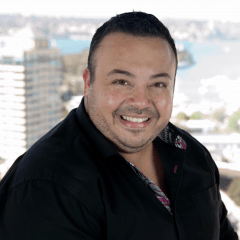 He is an Award winning International Business Coach who has consulted to hundreds of companies and has addressed thousands of people worldwide. Over the past twelve years, Mero has worked with top 500 companies, CEOs, company executives and business owners from around the world to develop business strategies & growth models that enhance business processes, optimise team performance.